The Canberra Region Tablelands boasts a stunning variety of world class food and wine offerings. 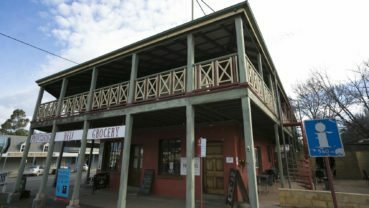 From farm fresh produce and farm gate experiences, to fine dining restaurants, quirky cafes, boutique vinyards and cellar doors, the Tablelands Region prides itself on a feast of impressive produce. Treat your palate to world class cool climate wines as you venture from one cellar door to the next. If you prefer drinking over sipping, there are a number of wine tour companies to take you on a journey around our wine regions. If you’re after a casual coffee, stop into one of our many coffee shops and cafes. With so many food and wine experiences on offer, it sure is hard to pick and choose, but here’s a start to your food and wine journey through the Canberra Region Tablelands. Often the best part of holidays is sampling the food and wine of the region – tasting your way around. With so much quality food and wine for you to taste, you only need decide on where to begin your culinary journey around the region. We have everything from delightfully quaint eat-in options to top quality food producers, cosy cafes, fine dining, world-class wineries and makers. 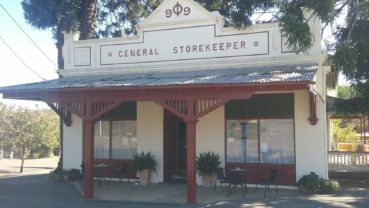 Prepare to fill that hungry belly and satiate your love of good wine here in the Tablelands. The small scale, artisan nature of the Canberra Region wine district means you have an opportunity to to meet the wine-maker at the cellar door while tasting premium wines. Experience a taste of Yass Valley – start your tastebuds adventure by popping into regional favourite Poachers Pantry Smokehouse Restaurant and Wily Trout Cellar Door in Springrange for award winning charcuterie matched with their cool wines including new natural ferment varietals. For a casual experience among the vines, stop in at Four Winds Vineyard in Murrumbateman for a wood fired pizza and glass of Sangiovese. Visit the cellar door of Clonakilla and speak to winemaker of the Year, Tim Kirk. And for the sweet tooth, it’s Robyn Rowe’s Choclat D’or for beautiful handmade chocolates. Raise your glasses to Lark Hill‘s biodynamic wines in Bungendore. And for the night owls, book a table for dinner at Le Tres Bon to indugle in some serious French food featuring fresh regional produce. During truffle season, hunting for French Black Truffles at Terra Preta in Braidwood is a must. For a casual lunch, the Hilltops Region has welcoming country pubs and cafes serving award winning coffee and locally inspired meals. Not only orchards and vineyards, but olive groves and mustard producers mean the Hilltops Region has culinary delights to tantalise every taste bud. Hilltops Region orchards and berry farms offer the opportunity to “pick your own”. The scent of the fruit in the warm sun will entice you, and you’ll take home a delicious reward for your efforts. If you’ve not experienced country living, a farm gate tour is a must. Speak to the local farmers and their families and be sure to say “g’day” to the many artisans and producers you encounter on your way through the region, to learn first-hand what it’s like to live and work in the Tablelands. And if you’re looking for a local produce market, there a Farmer’s Markets a-plenty in the Tablelands. 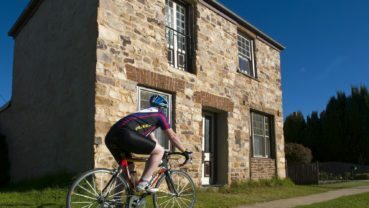 With the variety of produce, farm gate tours, and food and wine experiences available in the Canberra Region Tablelands, we recommend you take a few days to truly enjoy all our region has to offer. Visit www.canberrawines.com.au and www.hilltops.com.au for more information.